In this stunning novel about judgment, courage, heartbreak, and change, author Silas House wrestles with the limits of belief and the infinite ways to love. In the aftermath of a flood that washes away much of a small Tennessee town, evangelical preacher Asher Sharp offers shelter to two gay men. In doing so, he starts to see his life anew-and risks losing everything: his wife, locked into her religious prejudices; his congregation, which shuns Asher after he delivers a passionate sermon in defense of tolerance; and his young son, Justin, caught in the middle of what turns into a bitter custody battle. With no way out but ahead, Asher takes Justin and flees to Key West, where he hopes to find his brother, Luke, whom he'd turned against years ago after Luke came out. And it is there, at the southernmost point of the country, that Asher and Justin discover a new way of thinking about the world, and a new way of understanding love. 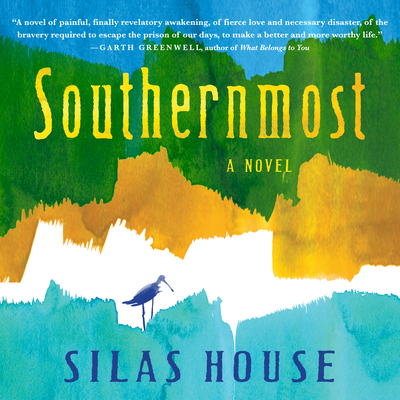 Southernmost is a tender and affecting book, a meditation on love and its consequences.